The Elections and Boundaries Commission says the T&T ID shown in social media photos with the the name of a man who may be Venezuelan-born, is fake. 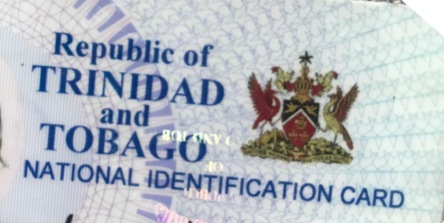 The photo shows a Venezuelan passport and a TT identification card belonging to the same person – the passport listed place of birth as Venezuela, while the ID stated place of birth as Trinidad. And with the General Election around the corner, this has raised questions of voter padding. In a statement, the EBC says a thorough search of its database shows that no national identification card was ever issued to the Venezuelan man, and that the man’s name did not even exist on its database. It also assures that its national database, which has the biodata of every person, has not been compromised. It warns that there may be other persons operating with fraudulent documents, and is urging those with knowledge of these fake ID cards to report them, either to the EBC or the TTPS. Meanwhile PEP Political Leader Phillip Alexander wants precautionary action from the EBC. In a release, he called for voter registrations from the date of the Venezuelan registration announcement, to be kept in a separate file for easy examination and random verification exercises. Mr Alexander believes the photo going shows that the public also believes state entities are capable of corruption.